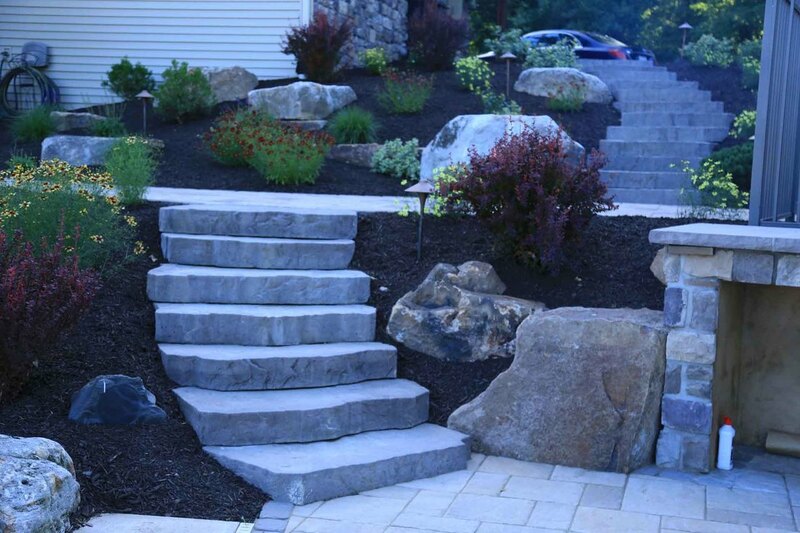 Hardscaping represents the foundation and anchor of you landscape plans at your State College home. Hardscaping should be planned out carefully and is usually implemented before the softscape or aquascape. When thinking of landscaping most folks in the State College Pennsylvania area tend to dream about flowers, shrubs and trees. Plant life is extremely important in a landscape but it’s only one element. Here are some terms to familiarize yourself with, Softscape: refers to the vegetation portion of the landscape. 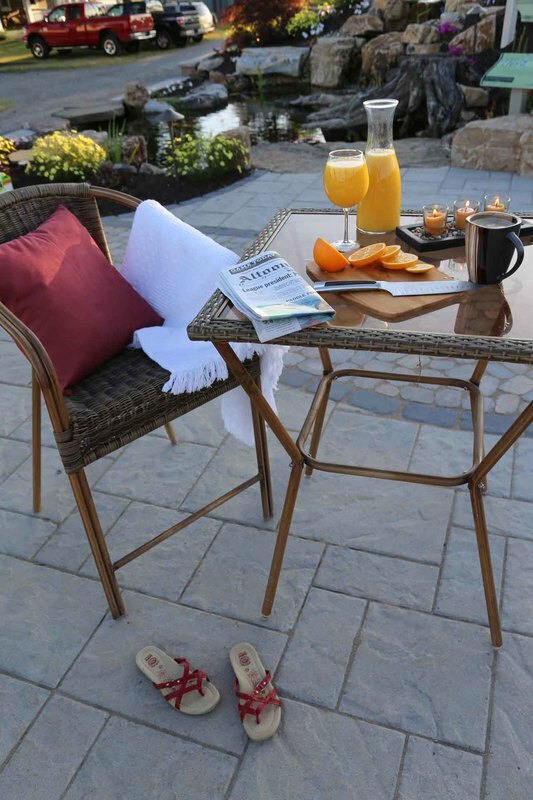 Hardscape: refers to the structures of the landscape or garden like walkways, retaining walls, patios, fences and decks. Aquascapes: refers to the fluid elements of the landscape such as ponds, streams and waterfalls. 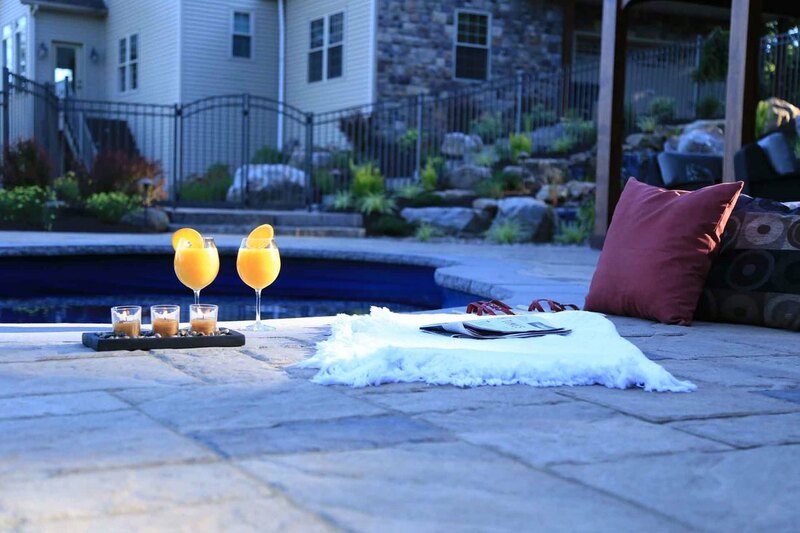 Some other examples of hardscaping we offer for State College customers are fences, pavilions and pergolas; all of which can be used to define your outdoor living space. Fences may be used to give privacy and create walls around your outdoor living room while structures like pergolas can be used to create ceilings. One or both of these will help to create that room atmosphere. The flooring in your outdoor room is another portion of this. It may be wood if you have selected a deck or some type of pavers with color that matches the stone work on your house. 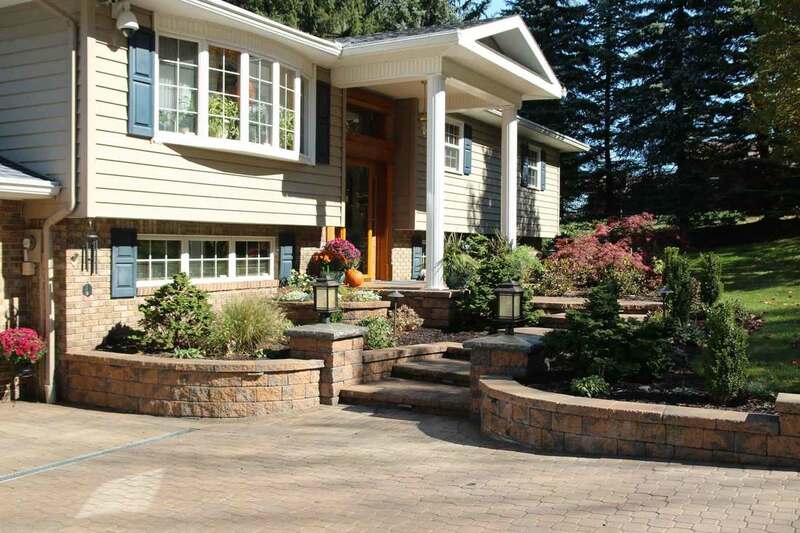 ​Some hardscape designs for your State College home can be very elaborate while others will tend to be much more subtle. This is achieved by the materials you chose. Bold color with materials that have clean geometric lines will give you a very modern feel, but by using more earth tones and textured materials you can achieve a look and feel that is very ‘Old World’.